I decided to add my Roasted Pumpkin Seed Recipe to the mix because it is THAT GOOD. I grew up eating roasted pumpkin seeds and I now roast them every year for our family the night that we carve our pumpkin. Did you know that they are very good for you? Yes! They are great for heart health, and tell your husband they are known for prostate health, too. This version has a salty, nutty flavor that will make it difficult to stop eating. I put them in a cute bowl and leave them out on our island and they usually are gone in 2-3 days. 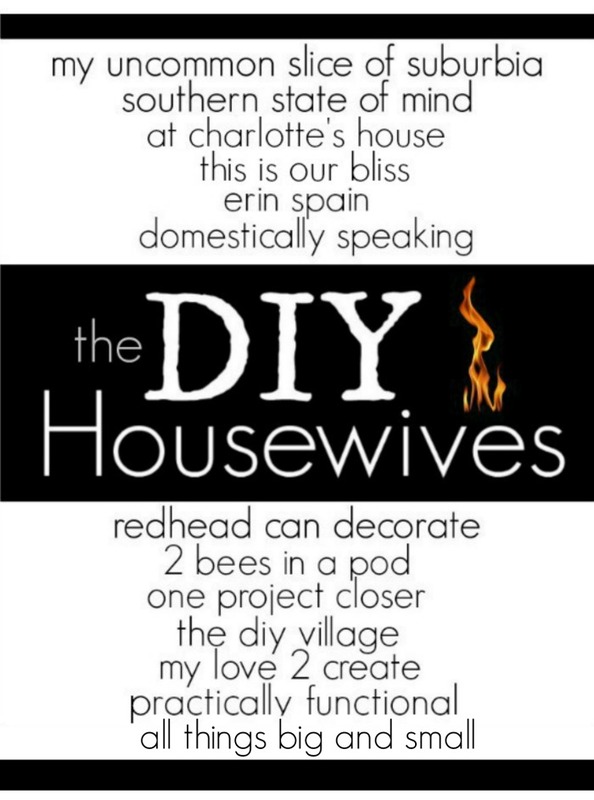 Hey, after you find out how to roast pumpkin seeds, maybe you can stop by the rest of the DIY Housewive’s homes and see what they do with pumpkins? All 13 cute & clever pumpkin ideas are listed below. Stay tuned for Thursday (tomorrow) for our cozy Fall front porch reveal! Your recipe for pumpkin seeds is similar to mine but yours looks so pretty and yummy I’m doing it your way this year … Thanks “red”! 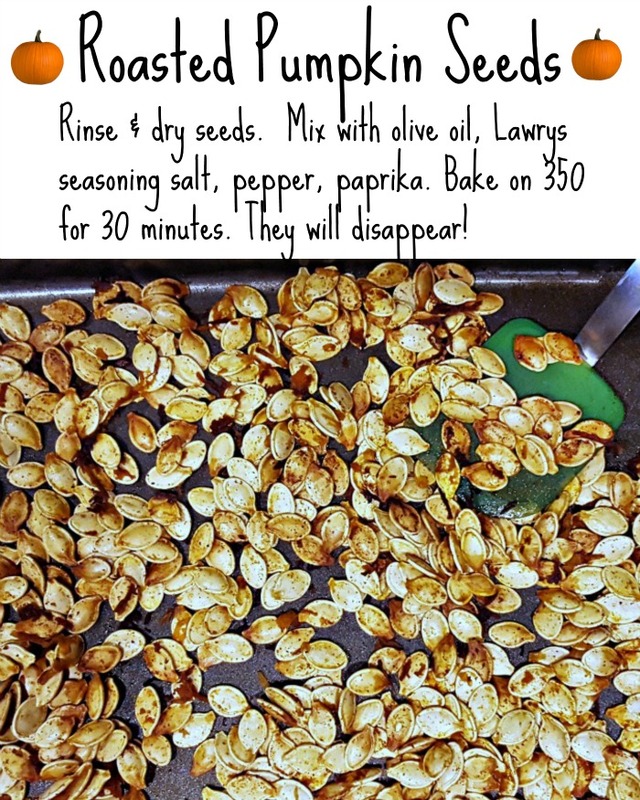 I love pumpkin seeds, going to try your recipe this year! After reading how you bake pumpkin seeds, although I’ve never ate cooked pumpkin seeds, I will this year. Thank you, as always. Your posts always rocking. You have never disappoint. Ivory! You will absolutely love them! Definitely trying your roasted pumpkin seed recipe. Great ideas here Julie…..I’ve made roasted pumpkin seeds in the past, never really cared for them. This year I’m making your recipe…..sounds so good, can’t wait to buy a pumpkin and make a jack-o-lantern and roast the seeds. Thank you. Glad you had your ‘time with your family out in nature’. It is so relaxing.